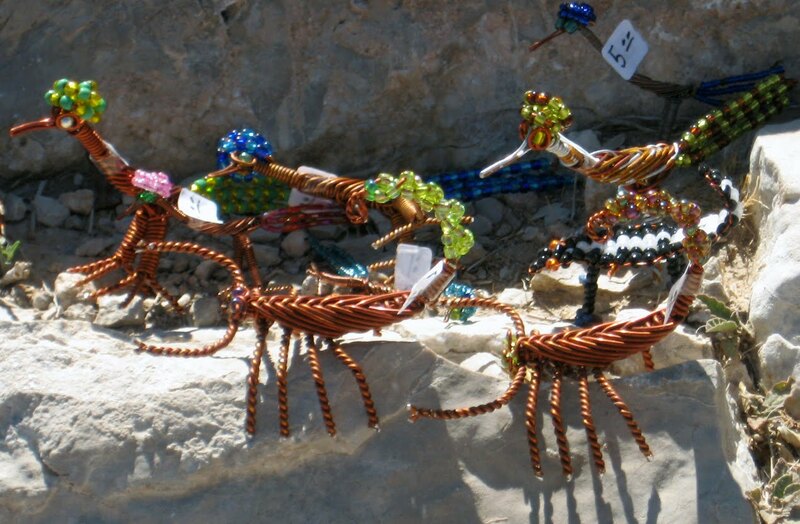 Clever hands fashion trinkets for sale: walking sticks, bracelets, scorpions and roadrunners of beads and wire. Daring men brave the river and rangers to place them for sale. An honor system. Donations also accepted. Rich tourists, for whom a few dollars is nothing, admire the offerings, discuss, then reject. International law and obedience to authority trump all. Thanks for parlaying it into a Friday 55! You always come up with some great stuff Ann....You Rock! I always find something to buy in a situation like that. That's why my house is... oh, never mind. It seems such a harmless thing to make illegal. 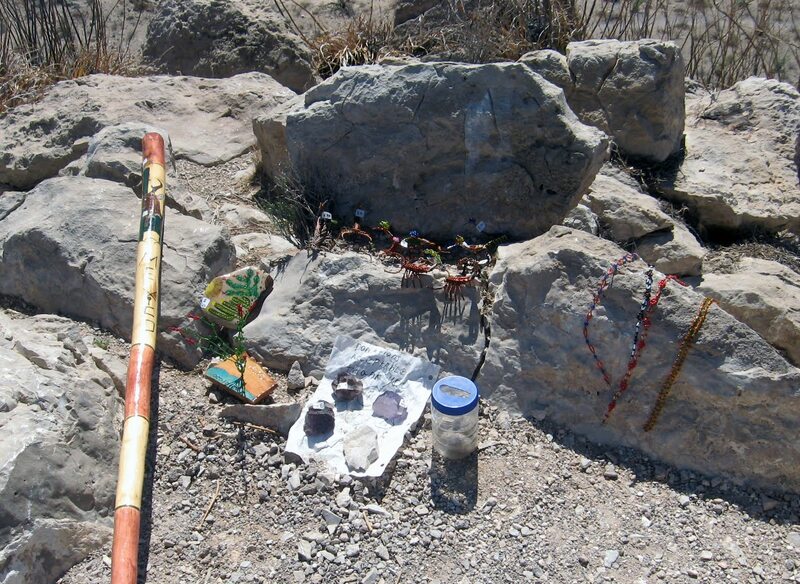 Alice, we found several of these in Big Bend within sight of the Rio Grande, near Boquillas del Carmen. Signs and informational brochures are all very clear that it's illegal to buy from the Mexicans, with possible confiscation and jail time. I agree it seems harmless. These people aren't trying to work here illegally or take advantage of any services - they just want to do a little trade. The items appeared to be of at least equal quality to what could be found in the park gift shop for three times the price. It seems a shame that laws (on both sides of the border) should weigh heaviest on poor people trying to make an honest living. It's almost no wonder they turn to drug-smuggling, if this is how we react when they want to sell a painted rock or wire-crafted roadrunner. Exactly. And it's not like this kind of thing will take jobs away from Americans.